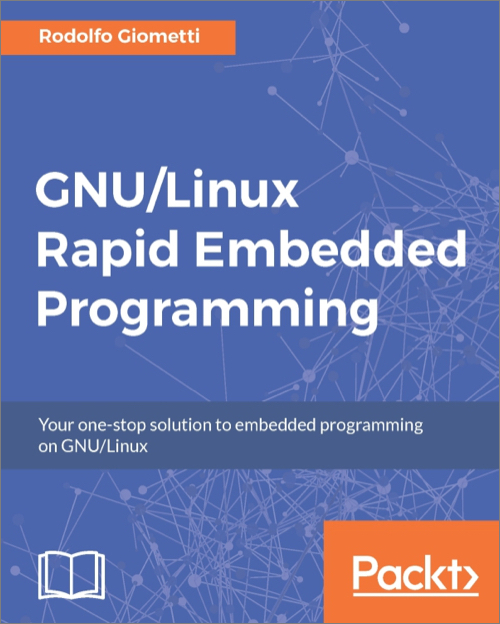 This book targets Embedded System developers and GNU/Linux programmers who would like to program Embedded Systems and perform Embedded development. The book focuses on quick and efficient prototype building. Some experience with hardware and Embedded Systems is assumed, as is having done some previous work on GNU/Linux systems. Knowledge of scripting on GNU/Linux is expected as well. Embedded computers have become very complex in the last few years and developers need to easily manage them by focusing on how to solve a problem without wasting time in finding supported peripherals or learning how to manage them. The main challenge with experienced embedded programmers and engineers is really how long it takes to turn an idea into reality, and we show you exactly how to do it. This book shows how to interact with external environments through specific peripherals used in the industry. We will use the latest Linux kernel release 4.4.x and Debian/Ubuntu distributions (with embedded distributions like OpenWrt and Yocto). The book will present popular boards in the industry that are user-friendly to base the rest of the projects on - BeagleBone Black, SAMA5D3 Xplained, Wandboard and system-on-chip manufacturers. Readers will be able to take their first steps in programming the embedded platforms, using C, Bash, and Python/PHP languages in order to get access to the external peripherals. More about using and programming device driver and accessing the peripherals will be covered to lay a strong foundation. The readers will learn how to read/write data from/to the external environment by using both C programs or a scripting language (Bash/PHP/Python) and how to configure a device driver for a specific hardware. After finishing this book, the readers will be able to gain a good knowledge level and understanding of writing, configuring, and managing drivers, controlling and monitoring applications with the help of efficient/quick programming and will be able to apply these skills into real-world projects. This practical tutorial will get you quickly prototyping embedded systems on GNU/Linux. This book uses a variety of hardware to program the peripherals and build simple prototypes.